JPEGCrops is a handy free tool to help you quickly rotate and crop a batch of digital photos to standard print sizes without loss of quality. Preview PPI as you adjust crop size. Color changes when resolution goes below 150 or 300 PPI. Windows freeware. No installation required; only generates files in the installation folder. The program is localized to Danish, Dutch, German, Hungarian, and Polish. Most digital cameras save your photos to the JPEG format which uses a lossy compression scheme. The good side is that JPEG images can be made quite small, but the downside is that some quality is lost each time a JPEG is saved if certain aspects of the image have been changed. With most photo editing software, cropping and saving JPEGs recompresses the image, resulting in more loss. 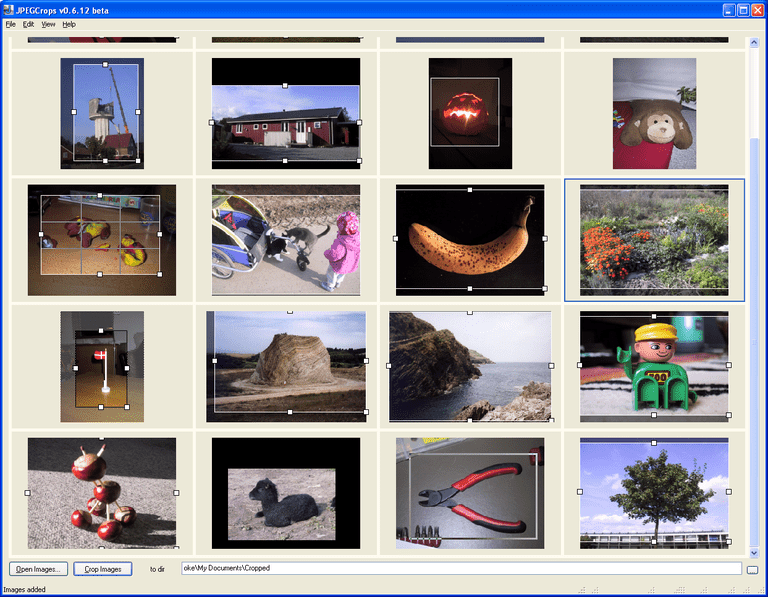 JPEGCrops is a free program to allow cropping of JPEG without loss of quality. In addition, it makes it very fast and easy to crop a batch of multiple images. It comes with most common photo sizes already predefined, and you can easily add your own custom sizes. You can specify an output folder for the processed pictures or change the file names of the cropped photos—JPEGCrops will never overwrite your originals without warning. You can also customize other aspects of the program such as appearance, layout, and how metadata and time stamps are handled. 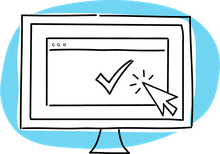 Besides being free, JPEGCrops is a small download, and the program doesn't modify your registry or install any files outside its own directory. Please note that JPEGCrops has not been updated since 2007. It's still available for download and will probably work, but may not be compatible with newer operating systems or may have security flaws that have not been patched. There are other newer software packages available that do the same job that come from more reliable sources. Please use your favorite search engine to find them. What's the Best Way to Manage Your MP3 Music Collection?